FOR PERSONS WITH ALS OR OTHER ND ORDER WISHING TO ORDER THIS PRODUCT FOR CANADA PSE BE ADVISED THAT PURFEFORMULAS DOES NOT CURRENTLY EXPORT THIS ITEM TO CANADA. 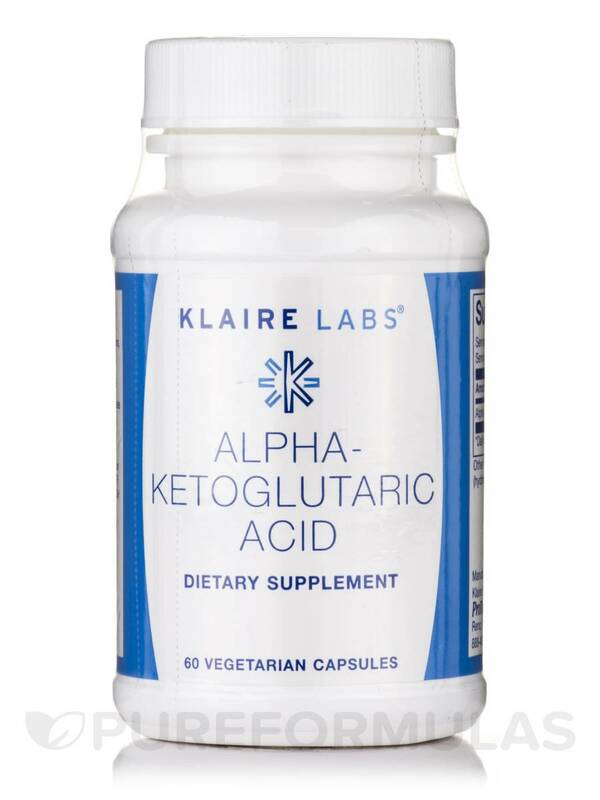 Klaire Labs’ Alpha-Ketoglutaric Acid 300 mg supplement delivers the organic acid alpha-ketoglutaric (AKG)‚ which is crucial for the proper metabolization of the essential amino acids‚ as well as optimal transfer of cellular energy during the citric acid cycle. AKG is an antecedent (precursor) of glutamic acid‚ a non-essential amino acid that is involved in the synthesis of protein and regulating blood glucose levels. AKG functions in combination with L-glutamate to reduce the level of ammonia present in the brain‚ kidneys‚ and muscles. Alpha-ketoglutaric acid also helps to balance the body’s nitrogen chemistry‚ preventing you from storing excessive amounts of nitrogen in body fluids and tissues.If you consume a lot of protein‚ have suffered from a bacterial infection‚ and/or have gastrointestinal (GI) problems‚ you may benefit from a supplemental source of AKG to help protect your tissues. Alpha-ketoglutarate is the salt form of alpha-ketoglutaric acid: for example‚ calcium alpha-ketoglutarate is alpha-ketoglutaric acid bound to calcium. By itself‚ alpha-ketoglutaric acid is a strong organic acid‚ and taking it by mouth can upset the stomach or irritate the esophagus. This is why Klaire Labs chose to blend alpha-ketoglutaric acid with its calcium and magnesium salts in order to produce a bi-element buffered alpha-ketoglutaric acid. Unlike ordinary AKG‚ this formula won’t produce excess acidity. 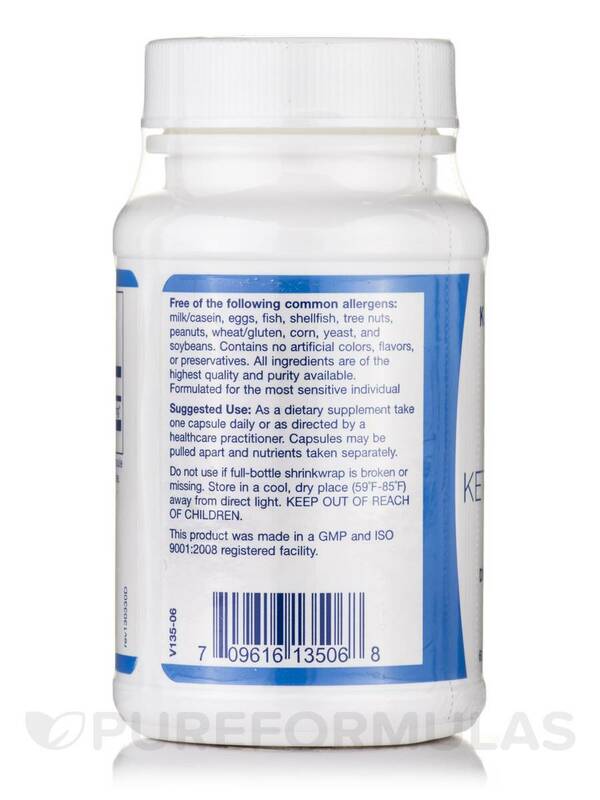 Alpha-Ketoglutaric Acid by Klaire Labs is free of allergens such as dairy‚ wheat‚ corn‚ soy‚ yeast‚ gluten‚ casein‚ salicylates‚ and preservatives. 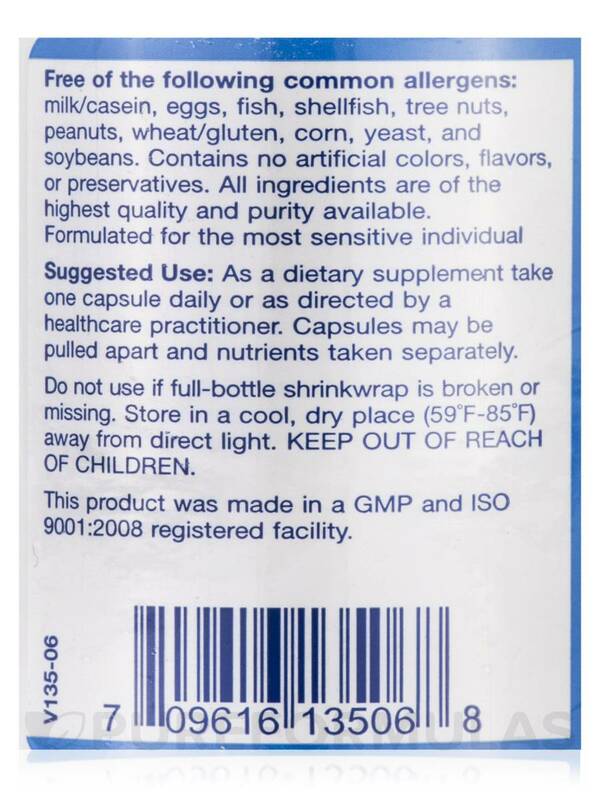 This supplement is also manufactured without any artificial sweeteners‚ colors‚ or flavors. All of its ingredients are of the highest quality and purity available. Broke out in hives when I took Alpha Ketoglutaric Acid by Klaire Labs. It may be good for others but I obviously had an adverse reaction to the product. unfortunately I bought quite a few and got stuck with several that I could never use. NOT CURRENTLY EXPORTED TO CANADA. 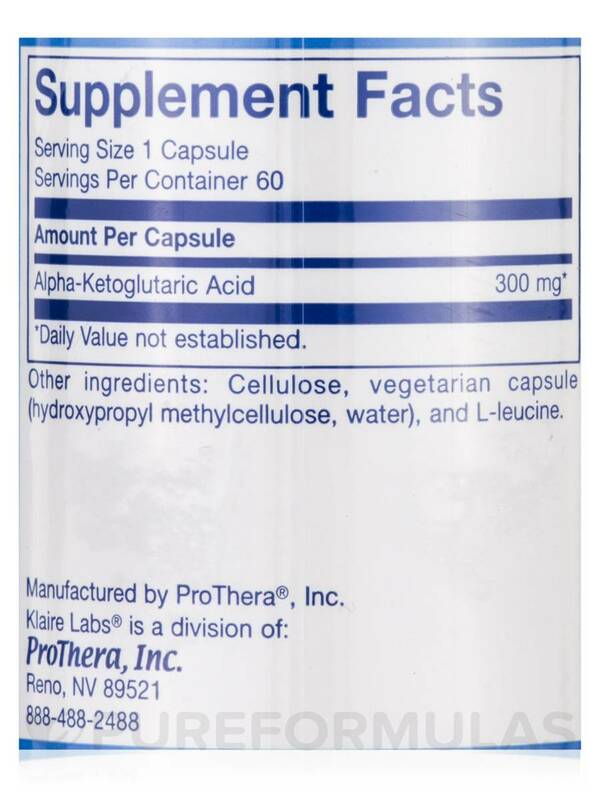 Purchased Alpha-Ketoglutaric Acid as part of "Deanna Protocol" a treatment for ALS. Capsule a little too big for me to swallow so must open and sprinkle in something. Pudding helped get it down. I have an auto immune disorder and have to be very careful in the supplements I choose to take. 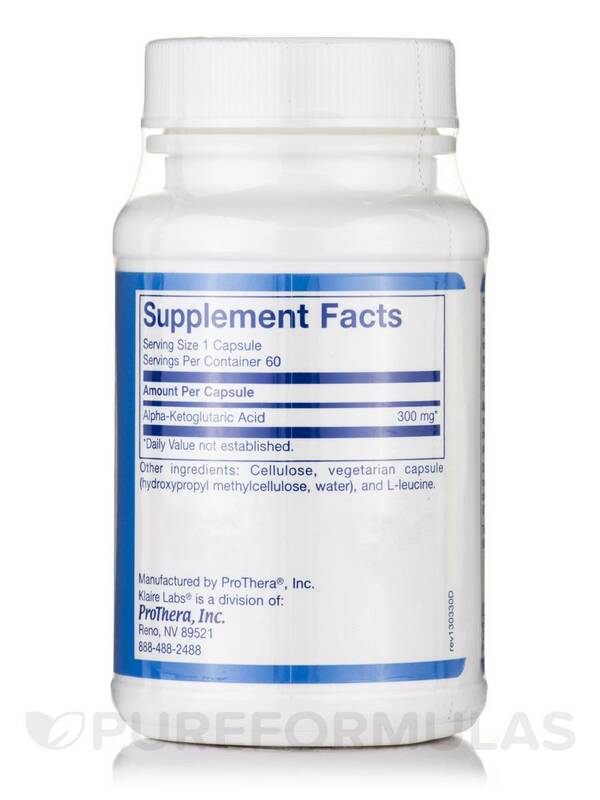 Alpha-Ketoglutaric Acid by Klaire Labs is doctor recommended. I have been using it for a year now and I have been very pleased. I know I am getting a quality product and PureFormulas sales this brand for a great price.